The excavation team at the site of Ayios Tychonas-Klimonas. 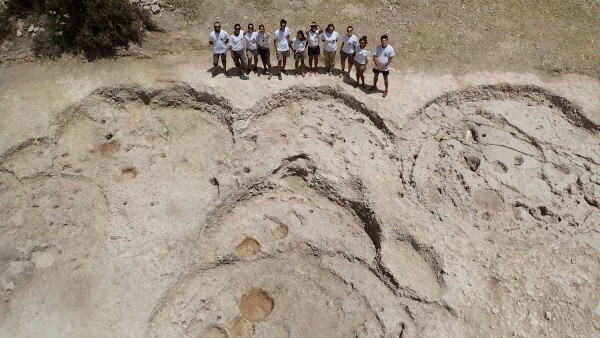 This year’s investigations at the site of Ayios Tychonas-Klimonas in the Lemesos (Limassol) District brought to light the remains of more than 20 round buildings with a diameter of between 3 and 6 meters. The buildings were constructed on small terraces, notched into a gentle slope facing the sea. The walls were built with earth and strengthened with wooden poles and the floors were often plastered. In most buildings large hearths were discovered, sometimes accompanied by a 30-50 kg millstone. These buildings were probably frequently reconstructed, as seen by the multiple layers of remains that were found, one above the other, on the terraces. The buildings are situated around a circular, 10 meter communal building, that was excavated between 2011-2012. The building dates to between 11,200 and 10,600 years BP (before present). The surveys and excavations that have been conducted since, have shown that the village would have covered an area of at least half a hectare. This is the earliest known village in Cyprus, and is more than twenty centuries older than Khirokitia. Large quantities of stone tools, stone vessels, stone and shell beads or pendants, were also found. The animal bones indicate that domestic dogs and cats were already introduced to Cyprus, and that the villagers hunted a small Cypriot wild boar and birds. Intensive sieving provided strong evidence for the cultivation of emmer wheat: a primitive cereal introduced from the continent. At this time, the Ayios Tychonas-Klimonas villagers were hunter-cultivators who did not produce pottery. The organization of the village, its architecture, the stone tools and the presence of agriculture and hunting are elements that are very similar to those that have already been identified in the early Pre-Pottery Neolithic Levant, between 11,500 and 10,500 years BP. This is the earliest manifestation of an agricultural and village way of life known to date, worldwide. 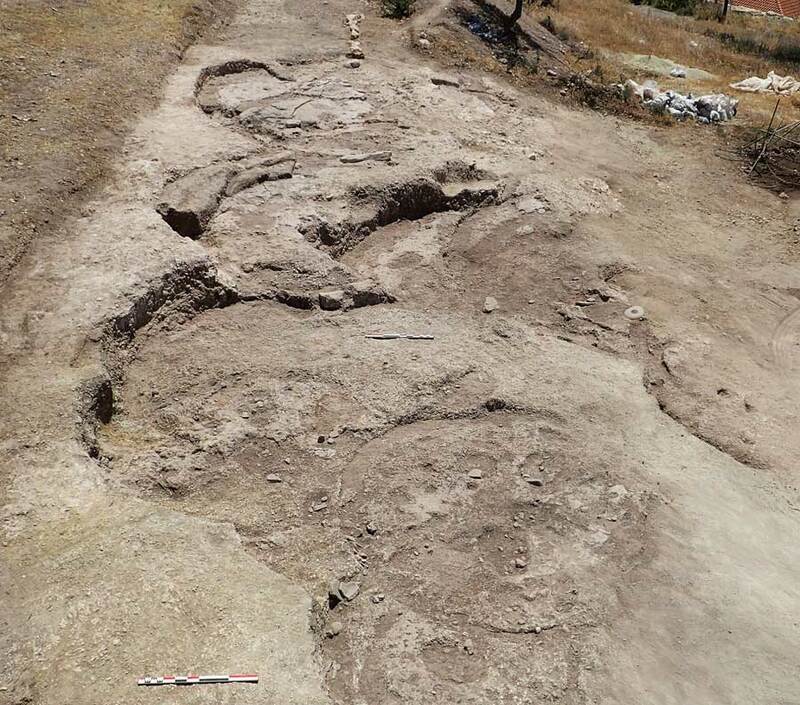 Ayios Tychonas-Klimonas has demonstrated that, even though Cyprus was separated from the continent by more than 70 km of sea, the island was part of broader Near Eastern Neolithic developments. The fifth season of excavations at the site of Ayios Tychonas-Klimonas in the Lemesos (Limassol) District was completedon the 4th of June 2016. The excavations were directed by François Briois (EHESS) and Jean-Denis Vigne (CNRS- Muséum national d’Histoire naturelle). The excavations were supported by the Department of Antiquities of Cyprus, the French School at Athens, the French Ministère des Affaires Etrangères et du Développement International, the CNRS, the Muséum National d’Histoire Naturelle, the French Institute for Rescue Archaeological Research (INRAP) and the Ayios Tychonas Community Council.